My brother often shares with me his irritation with the broadcasters who describe Yankee baseball games on television and radio. We were, after all, raised in baseball by Mel Allen and Red Barber, in whose care baseball play-by-play was an art. In a way, no announcers can satisfy us with Mel and Red as a standard. This week, my brother complained that John Sterling, who does the radio broadcasts with Suzyn Waldman, has repeatedly called attention to the fact that the 1927 Yankees used only 25 players over the whole season. I guess that was an implied criticism of, or at least a contrast to, the multiple roster changes — making trades, buying contracts, and bringing kids up from the minors — the Yankees have made during this season in which, incidentally, eighty percent of the starting rotation is on the disabled list. In fact, however, making comparisons between baseball in the 1920s and baseball in the 2000s is a tricky business. Sterling was right about the number of players on the Yankees’ roster in ’27, and my cursory tour through the statistics for that season suggest that 25 was a low number even then. But Sterling didn’t pick the ’27 Yankees at random. He picked that team because that team won 110 games and rolled over the Pirates in four games in the World Series. He picked that team because that team is often identified as the greatest team ever. That’s an indefensible ranking because — very much to my point here — baseball was so much different before that era and has become so much different since. 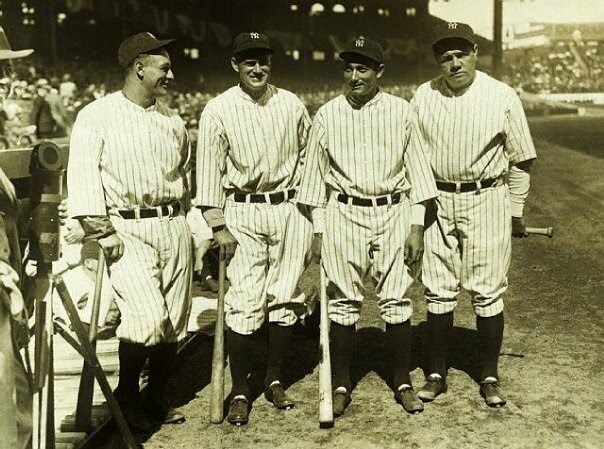 But certainly the 1927 Yankees were one of the greatest teams ever, and that was due in large part to the presence of Babe Ruth, Lou Gehrig, Earl Combs, and Tony Lazzeri. The major league season in 1927 was 154 games. Because of a game that ended in a tie, the Yankees that year played 155 games, and those four players each appeared in more than 150. Gehrig played in 155. So there was a significant element of stability built into the roster. I don’t know if this has been analyzed scientifically, but I often hear it said that players then were less injury prone and less likely to sit down because of an injury. Gehrig carried this last propensity to extremes, which helped to account for his appearing in every Yankee lineup for fourteen years. The Yankees that year also had five starting pitchers who among them won 82 games. 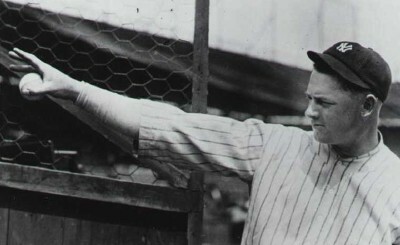 The ace, Waite Hoyt, who won 27 games, threw a total of 256 innings. And in those days before specialization, Wilcy Moore, a reliever, pitched a total of 213 innings and won 19 games. So the rest of the pitching staff had to account for only nine wins. 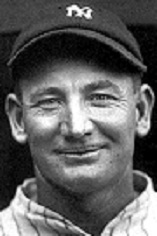 Moore threw 213 innings in 1927. What with the modern system of middle relievers, set-up men, and closers, the most innings a Yankee reliever threw last season was 77. You know I don’t know much at all about baseball. But I must say, that photo of Wilcy Moore is compelling. He’s smiling with his eyes as well as his mouth, and looking very much like someone who enjoys his game. From the outside, it seems to me that professional athletes in general used to work harder AND have fun a few decades back.. That’s a winning combination, for sure. There’s something to be said for having fun. One of the qualities often attributed to Derek Jeter is the fact that, even after 20 years, he enjoys playing the game. When you watch Jeter on the field, you can see that.